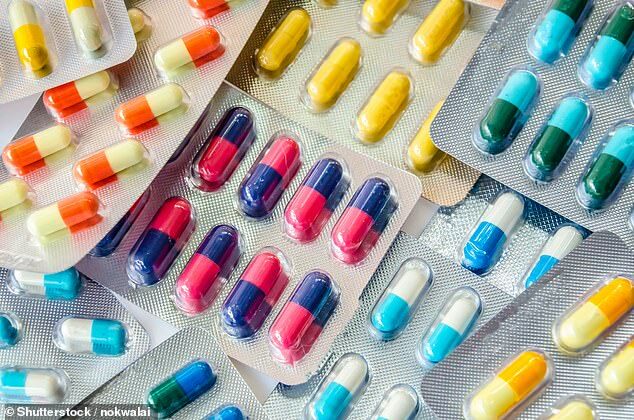 Drug wholesalers should be banned from selling medicines to countries in the EU if there is a no-deal Brexit, an industry body has warned. Firms may be able to make money by selling in the Eurozone with a weak pound, experts fear, leaving fewer meds for the NHS. The Association of the British Pharmaceutical Industry has called for a temporary ban on drug exports if Britain crashes out the bloc without a deal. There are already concerns the health service could suffer shortages if international supplies are interrupted after Brexit – companies have been urged to build up at least a six-week stockpile of vital medicines. If the value of the pound drops after Brexit, pharmaceutical firms could make more money selling to Europe. For example, companies would be keener to sell something for €1 when the Euro converts back to £1.10 than when it is only equal to 90p. The ABPI said the Government must take more action to stop this from happening and companies choosing to sell abroad rather than to the NHS, the BBC reports. In Greece during its financial crisis in 2013, the government put a temporary ban on exporting drugs intended for the country’s own health service. Medicine firms had tried to sell drugs intended for Greek people to higher bidders in other countries, but were stopped by the government. And the ABPI is calling for a similar system in the UK, if no Brexit deal is agreed. The Department of Health has set up a 24/7 call centre for NHS suppliers to phone if they experience supply problems in the event of a no-deal Brexit. The call centre would ‘record concerns’ and make sure the right organisations are told about supply shortages. The Health Service Journal revealed the plans for the phone line after seeing a letter from a senior member of the Department of Health. Solutions to supply problems could include routing suppliers through a special shipping route set up with the help of DHL to protect medical supplies. The letter said suppliers have also been asked to have ‘effective procedures for monitoring and managing demand to detect and challenge excessive ordering, and control stock despatches’. It wants the activity of wholesalers, which buy drugs at low prices from manufacturers and sell them to health service providers, to be regulated. These companies can, in effect, sell drugs to whoever they like but many of them will be produced under the assumption they will be sold to the NHS. The progress of Britain leaving the EU is unclear and Parliament is due to vote today, for the third time, on a withdrawal deal drawn up by Theresa May. The nation was supposed to leave the bloc today, March 29, but Parliament has failed to organise the process. A hospital chief executive warned in January that the NHS could quickly run out of vital medicines if Britain crashes out of the EU without a deal. Dr David Rosser, who runs the University Hospitals Birmingham trust, one of the biggest in the UK, warned a no-deal Brexit could trigger ‘unprecedented’ problems. He said hospital trusts could quickly run out of ‘vital’ medicines despite attempts to stockpile and there could be ‘severe and widespread risks to patient safety’. Dr Rosser also warned more staff may leave the country if the atmosphere becomes more hostile in the country and the pound becomes less valuable.